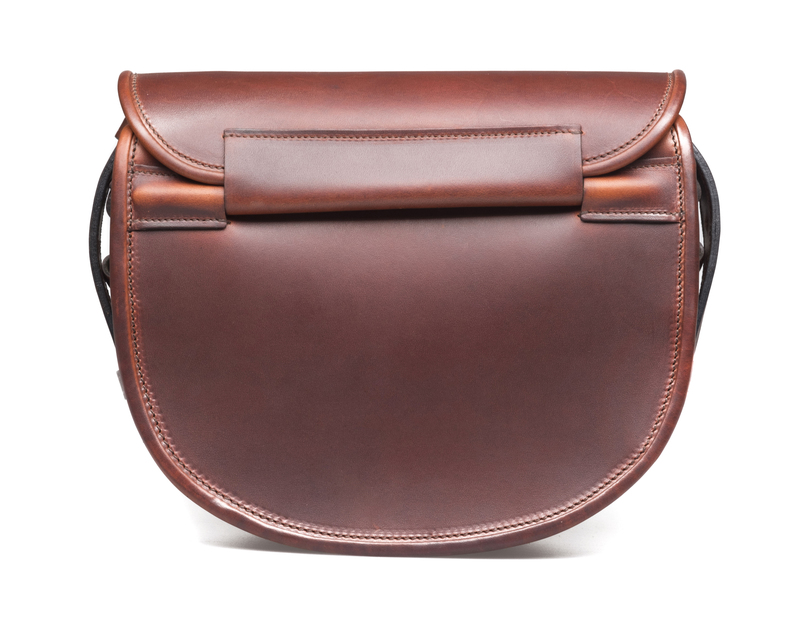 Rigby Leather Cartridge Bag - John Rigby & Co. 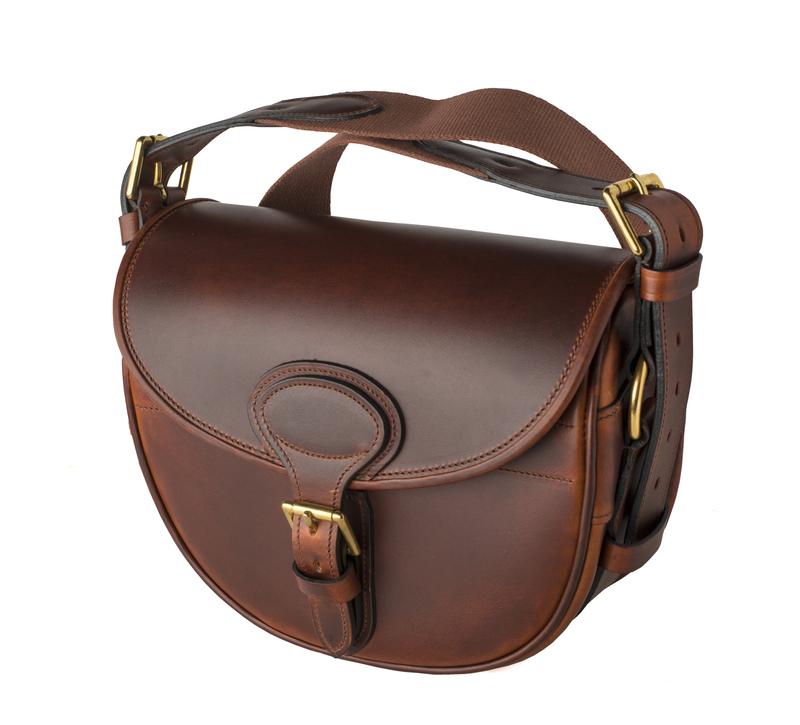 This handmade leather cartridge bag is made from robust bridle hide leather, designed to cope with the rigours of the shooting field. 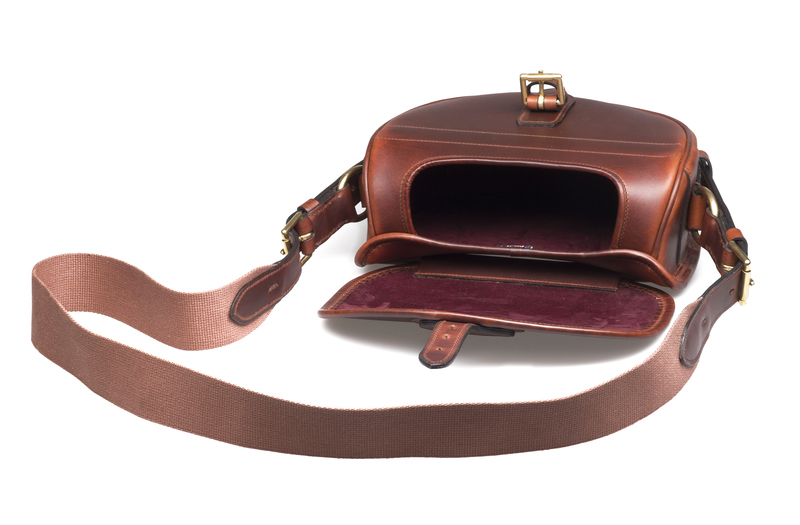 Hand-stitched with brass fixings and includes a thick canvas strap. 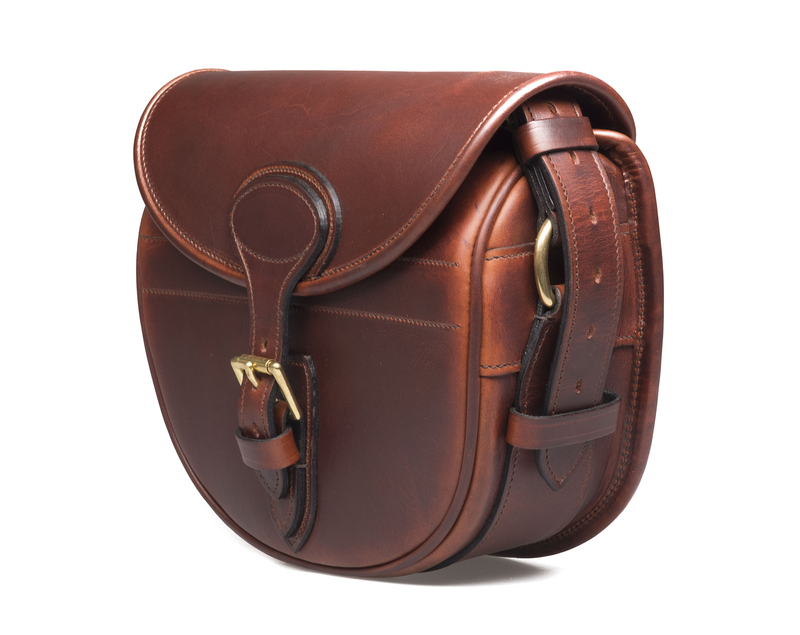 The cartridge bag lid is hinged and folds flat against the bag when opened to avoid interference. Available in “100” size, based on 100 x 12-bore shotgun cartridges, allowing a greater capacity for smaller cartridges.